Learning is fun and, in fact, more meaningful when it is not confined to classrooms and textbooks in totality. What gives that extra punch to the art of learning is the wholehearted participation of students in what is known as extracurricular activities. This is especially important for management education at top b-schools. This warrants that management colleges and institutes must have available such avenues of student participation in the shape of student clubs and organizations as part of their academic infrastructure. College extracurricular activities, moreover, help management students learn new skills and make valuable career contacts which greatly enhance their college experience both personally and professionally. In league with this line of thought, Asian Business School has an array of student clubs and organizations – like the Marketing Club, IT Club, Finance Club, HR Club, Sports Club, and Media Club – which add a great value to the PGDM courses and goes a long way in making it one of the top business school in India. 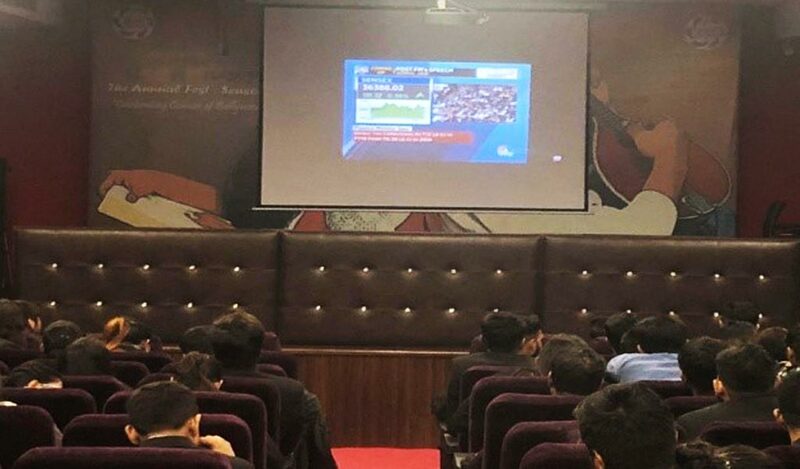 One such recent experiential learning activity at Asian Business School was the “Live Screening of INTERIM BUDGET 2019” that was organized for all PDGM students on February 1, 2019. The event was conducted by the Finance Club at ABS. The purpose of the activity was to aid students understand and analyze the Budget of our country with a real time experience. The activity majorly composed of a live screening of the Budget along with some discussions with the Faculties, Mr. Vipul Mehta and Mr. Maroof Ahmad Mir, in order to aid a better understanding of the Budget. It was a highly successful event as the PGDM students learnt a lot about the various aspects of a Budget. Students were able to analyze the financial and operational aspect of the Budget. Overall, it proved to be a very enriching and fruitful event for ABS students.